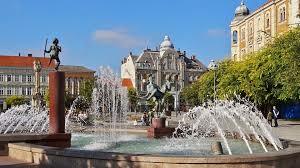 Cheap Car Hire in Zalaegerszeg, Hungary. Compare MPV, SUV and 7, 9 seat minivan reduced rental rates. Compare and book cheap car hire in Zalaegerszeg. Save in estate cars, station wagons, SUV, MPV and minivans. We have discounted rates from Europcar. Although you are getting discounted rates, the quality of vehicle and service is just the same as if going direct. All the usual benefits are included in the price, like CDW, roadside recovery, insurance and mileage. Driving outside of Hungary is allowed, but check supplier terms, or ask us by email. Look for the free additional driver offer from Thrifty. You will find that our rates are invariably cheaper than booking locally, plus you will be assured a vehicle that fully meets your travel requirements. Why not book a one way car rental and see more of this scenic country, or leave the car in another European country? Extra fees will apply outside of Hungary. We offer cheaper motoring costs in Zalaegerszeg. Compare discounted rates for Zalaegerszeg. Pre-book early for next holiday auto and save. Hungary is best viewed as six separate regions. The majestic west and Lake Balaton, the charming Danube, Sizzling Budapest, the wild south, the open plains and then the mighty Northern Highlands. With a mostly flat landscape of rolling plains, with some hills at the the Slovakian border, driving a car hire will be easy. Visit the stunning villages and romantic cites of historic Hungary. 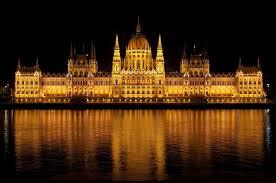 Pickup your vehicle from Budapest Airport and start to explore Hungary. Your wheels can also be collected from Budapest city as well. How many can you do? Before leaving Budapest, take time out to sample a few of the one hundred and twenty plus, thermal springs. They make an excellent retreat for someone looking to purge the body of everyday stress. 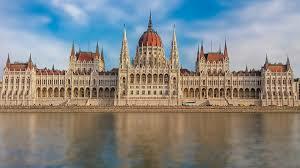 Aside from spas, Hungary has on offer a myriad of other attractions including cathedrals, museums, cafes and shopping. Enjoy the wholesome and cheap Hungarian food. Another favourite entry point is the Heviz-Balaton Airport which is situated close to Lake Balaton. The views on landing are inspiring. A car hire is a must, to appreciate the beauty of this part of Hungary. Wherever you visit, you will be treated to that special Hungarian cuisine, that has remained true to its rustic and wholesome origins. Motorways in Hungary are excellent but you will need to purchase e-vignette, which is available from most petrol filling stations beside the motorways. Where to get a car? A wide range of vehicles are available to rent at these airports:- Budapest, Debrecen, Pecs and Sarmellek.We also have depots in these places:- Godollo, Gyor, Hviz, Kecskemet, Miskolc, Nyiregyhaza, Szeckesfehervar, Szeged, Szombatheley, Tatabanya, Veszprem and Zalaegerszeg. Please refer to the Hungarian Tourist Board to find out more information..